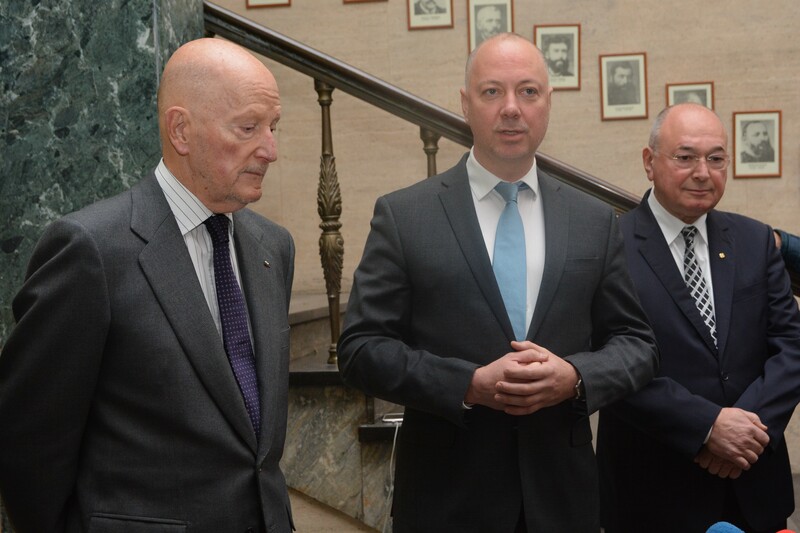 The centennial anniversary of the ascension of Tsar Boris III to throne is significant, not only because he is a remarkable person but also because the Bulgarian statesman and politician has been a passionate fan of philatelic art, said Minister of Transport, Information Technology and Communications Rossen Jeliazkov during the validation of a special postage stamp dedicated to the anniversary. The seal for putting into use was placed together with the successor of the Bulgarian monarch - Simeon Saxe-Coburg-Gotha. The image of Tsar Boris III has been repeatedly perpetuated in a number of post-philatelic publications, Minister Jeliazkov said. He recalled that a postage stamp dating from the end of the 19th century was dedicated to the adoption of Orthodoxy by young Boris. Later, the philately celebrated in 1918 his ascension to the throne at the age of 24 to embark on the thorny path of his destiny, inextricably linked to the fate of the Bulgarian people and the Bulgarian state. "5 years ago, in 2013, we also had an edition devoted to the death of Tsar Boris III", the Minister added. "These events not only commemorate the memory of Tsar Boris III's personality, but also help us acquaint and touch his work and life in a different way. The young generations have the opportunity to get to know our history with its difficult and controversial paths", added Rossen Jeliazkov.